A very smart horse, both over hurdles and the Flat. He showed very useful form winning the Summit Hurdle Grade 2 at Doncaster by 20 lengths and disappointed when out of sorts in the Triumph Hurdle at the Cheltenham Festival. He returned to the Flat in July 2016 with a devastating victory under top weight at Chester. 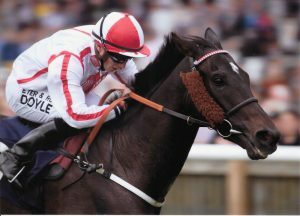 He was an impressive 9 lengths winner of the Gerry Fielden Hurdle at Newbury on Hennessy Gold Cup Day (2016) and put in a great performance to finish third in the highly competitive Coral Cup at the Cheltenham Festival and again to be third in the Ascot Stakes at Royal Ascot. We decided not to hurdle him this last winter, but he came back in great form to finish third at Newbury after 11 months absence in April as a precursor for the Chester Cup on May 10th, a race in which he has performed well in the last two years, finishing fourth and third. 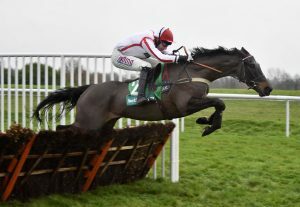 He is very much a horse to keep on side and the possibility of him returning to the National Hunt field as a novice chaser later in the year is also very exciting. Timeform says: “this horse is a smashing dual-purpose performer”.